We welcome guest panelist Anna Dvorak to review another busy political week in Wisconsin. We cover Trump’s visit to Kenosha, Sen. Ron Johnson’s debate with high school students, Gov. Walker’s Medicaid waiver that allows drug testing and raises costs, and the push by conservatives in the legislature to end abortion coverage for state employees. 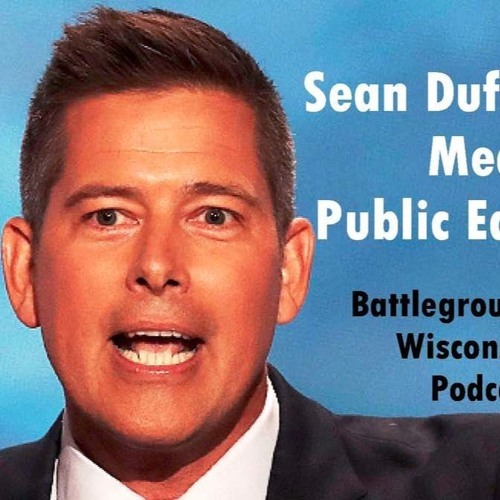 We also focus on the crazy anti-government outburst from Rep. Sean Duffy at his public town hall that revealed a dangerously constricted view of government that if fulfilled would eliminate Medicare and BadgerCare and would abolish public schools. Anna details the growing movement in Wisconsin for fair elections and nonpartisan redistricting reform. We conclude by exposing the sophomoric research by a UW-Madison researcher with strong ties to Gov. Walker that claims (with no causality) that the Manufacturing and Agricultural tax break is responsible for creating 42,000 jobs - A laughable 25% of all job growth under Gov. Walker.